Born and raised in rural Kenya, Dinel’s parents often struggled to feed their children. Despite the desperate situation at home, Dinel was able to finish her primary schooling, though she often had to miss class in order to help her family get by. Dinel was helped by her primary school’s principal who realized Dinel was determined to succeed and kept her in school until she took the primary exit exam, the KCPE. Even after reaching this important milestone, Dinel and her family struggled to ensure she was able to continue her schooling. She missed the first month of her form 1 year at Mary Leakey High School before enrolling in Moja Tu. Dinel has been a Moja Tu student for the past 3 years, navigating secondary school and growing all the while. At the end of 2018, Dinel took the Kenya Certificate of Secondary Education (KCSE) exam and earned an impressive B average. Now, the girl who wasn’t sure if she’d finish primary school is looking forward to continuing on to a university later this year. 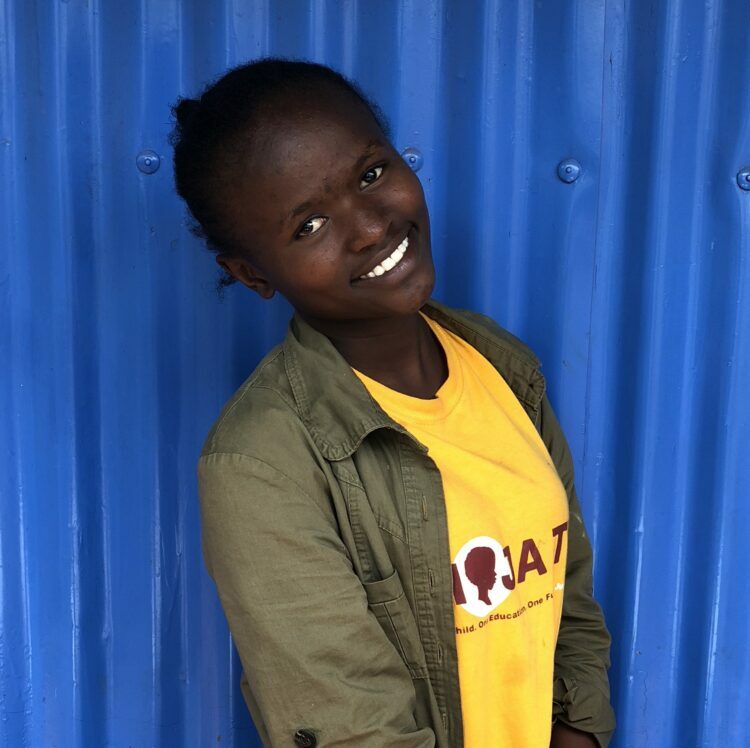 We are beyond thrilled with Dinel’s progress, and we are privileged to watch her move on to university, where she will continue to grow and shape her future. Can you help Dinel continue her studies? Sponsor her today!